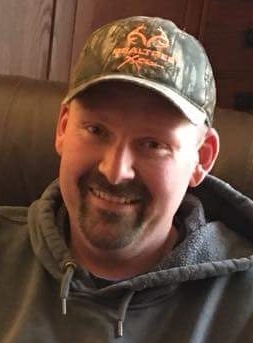 Clint Jonathan Shaff, 37, a lifelong Frankfort resident, passed away unexpectedly on Thursday, January 11, 2018 of heart failure. He was born on November 2, 1980 in Lafayette, to Charles “Chuck” and Vickie (East) Shaff, who survive. He attended Frankfort schools through middle school and graduated from Clinton Prairie in 1999. He married Amber Yeary and they later divorced. His significant other was Lisa Jones and she also survives. Clint had worked for US Cold Storage, Wabash National, Scott Barrett, Purity, Clinton Prairie, and had most recently worked at NTK. He attended Eagle Harvest Ministries. His family and his children were his life. He loved traveling and enjoyed playing poker. Memorial donations may be made in Clint’s honor to the American Heart Association with envelopes available at the funeral home. A funeral service will be held at 10 a.m. Tuesday, January 16, 2018 at Archer-Weston Funeral & Cremation Center, 501 East Clinton Street, Frankfort. Rev. Jeff Sarine will officiate. Burial will follow in Bunnell Cemetery. Friends may visit from 4-7 p.m. on Monday, January 15, 2018 at the funeral home. Survivors include his Son: Jonathan Shaff; Parents: Chuck & Vickie Shaff; Significant Other: Lisa Jones; Step-daughters: Karly Gilson & Jayci Sexton; Brothers: Joshua (Rachel) Shaff & Jacob Shaff; Niece: Maddie Lucas and Nephew: Owen Lucas all of Frankfort. Though we knew Clint for only a few short years, we enjoyed his company at family celebrations. We watched your love for one another grow, Lisa. We know how happy you, Karly, and Jayci were to be part of Clint and Jonathan’s family and vice versa. May those happy memories sustain you now and throughout the coming days, months, and years. Clint’s memory lives on. Clint was one of my students. I am so sorry to hear this. Prayers for all of his family. Vickie, Chuck & family, we are so sorry to hear the sad news about Clint. Our thoughts and prayers are with you all during this extremely difficult time. Please tell Jonathon we are praying for him. You have always been more than a nephew to me. You are one of my best friends that I could always count on for love, support and kindness. You loved me even though others didn’t and you were there to protect me and my son. Your spirit will never die because it will continue to live in all our hearts. We will love you and miss you more than ever. We know that we will all be together again. Until that day we will continue to love each other and be there for one another. I will think of you and miss you very, very much. Thank You for some of the best memories of my life. Your friendship was one of the best gifts I have ever received. Thank You for loving me as much as I love you. Very sorry, to hear that such a young man has left this earth. I pray comfort and peace from God for your family. Vickie, Lisa & family, So sorry for your loss. May God wrap his arms around each of you and help you to get thru the days and weeks to come. Hugs & prayers. So Sorry for Ur Loss Clint was a Sweet Young Man he will be Truely Missed. May God be with U All during this difficult time. Vickie & family, so very sorry for your loss. Rest in peace sweet Clint. Your time was short on this planet but you will be a bright star in heaven as you watch over your son. He is a wonderful piece of you that is left with your family to love as they think of you and watch him grow into the man you would have him be. Uncle Jim and Aunt Jacque. My sincerest condolences on your loss . Sorry to learn of the loss of your son. I know the pain of losing someone in death. Clint was still young and had so much more to accomplish. He will not be forgotten for he is alive in your hearts and in God’s memory (Luke 20:38) All those in his memory will some day hear his voice and will enjoy life again. Hold on to that hope and may it comfort you.